The new Sidney Research Campus is composed of several research and lab facilities just a stones throw from the rapidly developing Kendall Square district. CBA redesigned a linear courtyard between 200 Sidney and 40 Erie Streets, developed a new entry plaza and created a new park at the corner of Erie and Waverly Streets. For the linear courtyard, CBA created a new axis for circulation which pivots slightly away from the buildings thus setting up a dynamic relationship between the landscape and architecture. The new geometry informs all of the elements within the entry plaza and corner park, including the paving planting, lighting and site furniture. 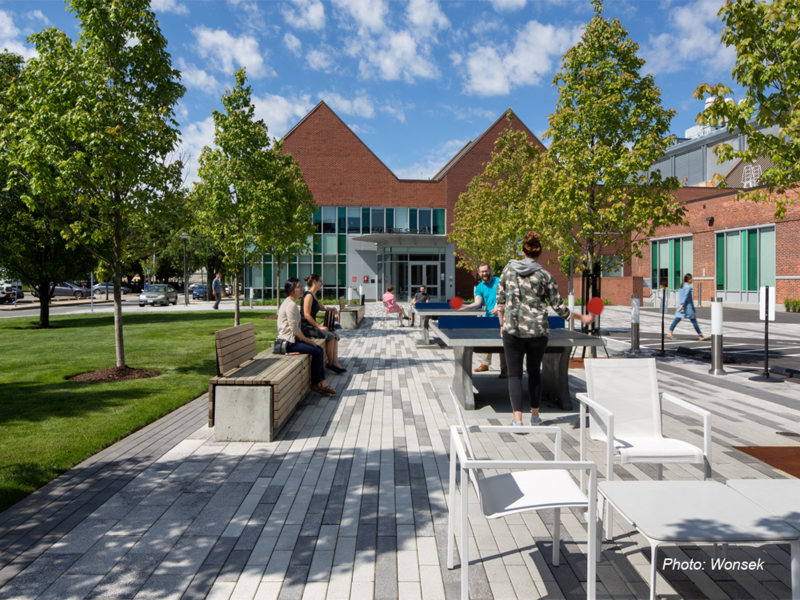 The Sidney Research Campus received a 2017 Award for Excellence in Design with Unilock (Commercial) from Unilock New England.